Tag Archive | "health reform"
Republican leaders on Sunday said that they would be receptive on possible negotiations regarding healthcare costs- one of the main obstacles to realize a deal that would likely cut the financial debt in the United States. The chairman of the House of Representatives Budget Committee, Paul Ryan, said that he would be very willing to talk with the Democrats who have criticized his healthcare plans for the elderly and poor citizens in the state. 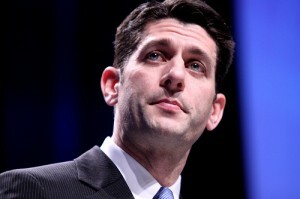 Ryan said it is already time to discuss matters that would help control U.S. debts. Health reform has been the main subject on both parties as they try to come up with a budget deal that would offer lawmakers a political cover to support a raise in the United States’ borrowing ability. Also, it appears to be one of the main campaign issues as the 2012 elections draws nearer. Last week, the United States already reached its debt limit worth $14.3 trillion. The U.S. Department of the Treasury said it can evade a default only until early August. According to experts, non-payment of debts can bring the country back into the state of recession and stir the markets around the globe. However, Ryan’s plan to scale back Medicaid for the elderly and poor could possibly save $2.2 trillion. It would also annul President Obama’s health reform program, which is known as the 2010 Affordable Care Act. President Obama then proposed to save $480 billion worth of money through hastening improvements in the program. Yet, Republicans urge the government to repeal the reforms. Chris Van Hollen, Democratic representative, said Washington might be able to find savings through cutting the costs that the government pays for prescribed medications instead of weighing back patients’ benefits.